I enjoy promoting the public understanding of science, and encourage members of my lab to do likewise. Here’s a nice collection of pictures of lab-members doing various public engagement activities, and my scrapbook of fliers etc. 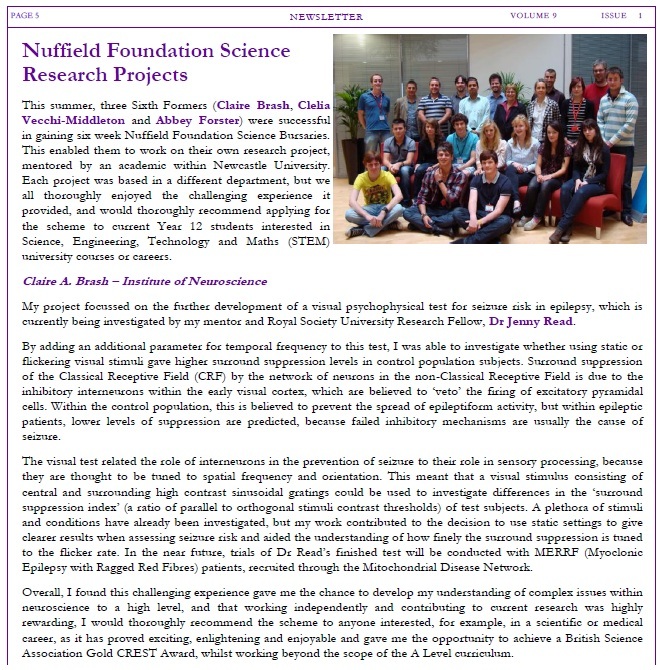 When possible, I offer summer science projects in my lab to local sixth-formers through the Nuffield Foundation bursary scheme. I am willing to talk about vision science or neuroscience to schools or other interested public groups in the Newcastle area. If you would like to organise something like this, please get in touch. I am also interested in learning about the interactions between science and society, for example with regard to science policy and education. 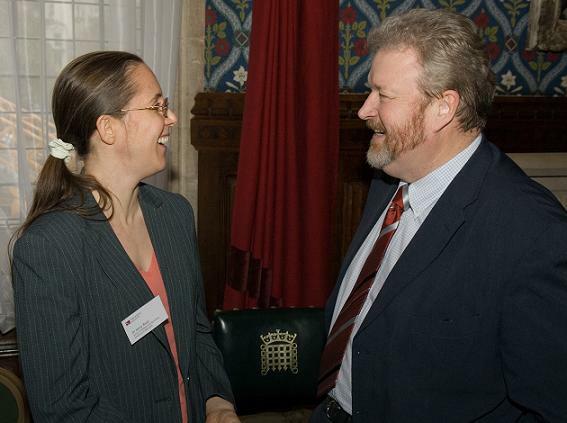 My Royal Society fellowship (2005-2013) provided me with several opportunities which I took advantage of, including the MP-scientist pairing scheme. November 22 2007 Cafe Scientifique on “Neurological disorders” to sixth-formers at Sacred Heart High School, Fenham. March 18 2008 talked to sixth-formers at a SETPOINT careers fair at Heaton Manor School. June 11 2008 talked to Year 4 children at St Aidan’s Primary School, Newcastle. June 18 2008 talked to Year 6 children at a Connections careers fair at North Fawdon Primary School, Newcastle. July 9 2008 talked to Year 5 children at a science “taster” day at Seaton Burn Community College. March 12 2009 Science Week talk to sixth-formers at Royal Grammar School, Newcastle. March 12 2009 Science Week talk to Year 11 at Kenton College, Newcastle. 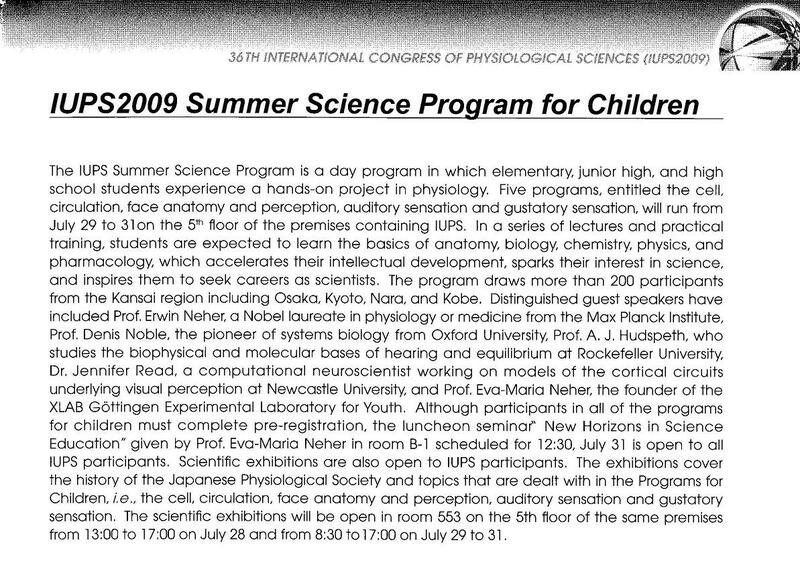 Summer Science Programme of the International Union of Physiological Sciences Congress in Kyoto. December 15 2009 Cafe Scientifique at St Mary’s Roman Catholic Comprehensive School, Newcastle. 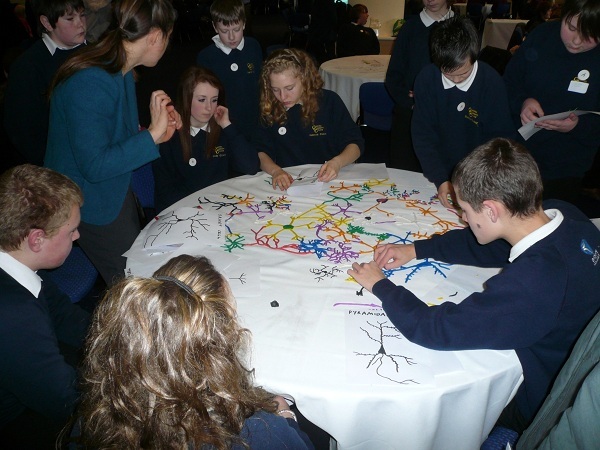 January 28 2010 Ran 5 50-minute neuroscience workshops at “Inspiring Science, Inspiring Scientists” inter-schools event at St James’ Park, Newcastle. June 23 2010 STEM Day at Hill Top School, Gateshead, ran 5 45-minute workshops for 12 to 17-year-olds with autism and other disabilities. July 30 2010 Hosted two sixth-formers on work experience in my lab. August 3 2010 Speaking at Girl Guiding Association Centenary Camp, Harewood House, Leeds (camp newspaper, p 8, issue 9 of Science City York News). September 17 2010 Shadowed for the day by a sixth-former interested in neuroscience. January 31 2011 Lecture on “The Visual Brain in Health and Disease” at Central High School, Newcastle. February 16 2011 Gave two talks on visual illusions to primary school children at Preston Grange school, North Shields. July-August 2011 Hosted three sixth-formers in my lab under the Nuffield summer placement scheme. 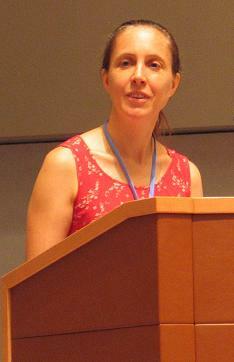 April 2013 On the panel of shortlisting judges for the Royal Society Young People’s Book Prize. April 25 2013 MRes student Paul Hands helped with a neuroscience activity at Kids’ Kabin in Walker as part of the Institute’s ION Ambassadors programme. Details in Paul’s blog post. Sept 9-12 2013 British Science Festival Young People’s Programme: MRes student Lisa Hindmarsh helped organise a workshop on Mimicry and Camouflage. This ran 3 times a day for 4 days to groups of around 15 children, so around 180 children participated in the hands-on activities, including examining live insects and experiencing life as a predator. From Readlab, Lisa, Paul, Sid, Ghaith, Vivek and Jenny were all involved in delivering this event. Sept 12 2013 British Science Festival Young People’s Programme: Sat on a panel discussing careers in science for students entering sixth-form. January 20 2009 co-deliverer (with Adrian Rees) of Holmes Lecture on “My brain and I: Where am I?” to 10-14 year olds at Newcastle University. March 20 2010 Public lecture for Newcastle Science Festival. June 25 2010 Participated in Identity Masquerade event at Newcastle Centre for Life. January 18 2011 Speaker at “Knit a Neuron” event at Tyneside Cinema. March 14 2011 Gave public lecture on optical illusions for Newcastle Science Fest event at Centre for Life. 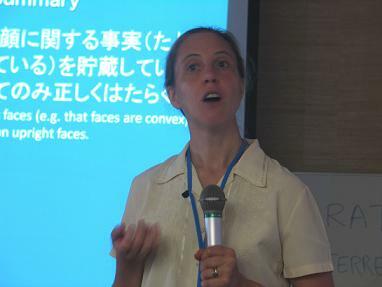 June 2 2011 Gave public lecture on visual neuroscience for Mini Psychology lecture series at Centre for Life. 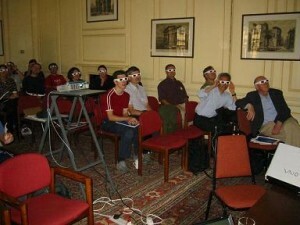 March 18 2012 Public lecture “Inside 3D”, on science behind 3D films, preceding a screening of the 3D film “Hugo” at the Tyneside Cinema. February 2013 Undergraduate physiology student Michael Widdall ran a “Meet the scientist” event at Newcastle Centre for Life and Hancock Museum as part of his third-year project in my lab. 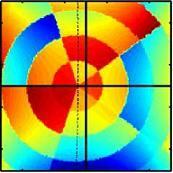 He was collecting stereo psychophysics data from the general public. March 17 2013 MRes student Lisa Hindmarsh contributed an activity to the Open Day at Moorbank Botanical Gardens. She brought in some of our mantids for the public to see and hear about. Blog post here. 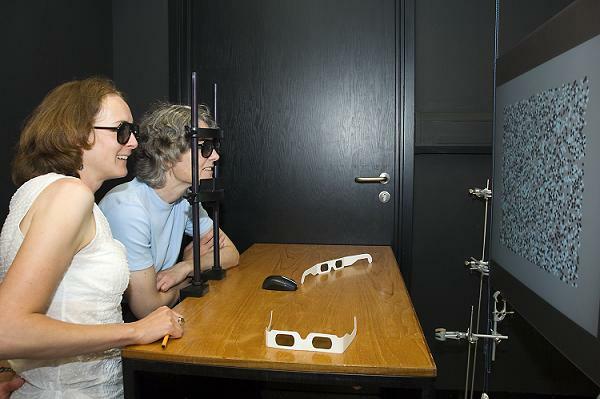 Sept 9 2013 British Science Festival: Gave a talk on 3D vision and 3D displays as part of an event More than meets the eye: Demonstrations in human perception. Sept 12 2013 British Science Festival: Participated in the event Tsunamis in the brain: The science and sociology of epilepsy. Nov 28-29 2015 North Shields Old Low Light Heritage Centre Fire & Light Yule Festival. With Stacey Aston and Kathleen Vancleef, planned a talk on “How we see light” which we delivered 4 times to different audiences over the weekend. Feb 27 2016 Gave a TEDx talk at Oldham library on the Man, Mantis and Machine project. October 23 2006 attended Royal Society strategy discussion day and speech by the Rt Hon Alastair Darling MP, Secretary of State for Trade and Industry. October 26 2006 participated in “Influence the Future: A level Physics” conference at the National Science Learning Centre at York University. November 3 2006 attended speech on science policy by the Prime Minister, the Rt Hon Tony Blair MP, at Oxford University; part of a series of talks on “Our Nation’s Future”. David Anderson MP, as part of the Royal Society’s MP-scientist pairing scheme. my diary of this experience. January 26, February 3 2007 shadowed David Anderson MP in his Blaydon constituency. January 30 2007 spent a day at the Royal Society attending MP-scientist pairing scheme wrap-up, Scientists Meet the Media event, and Michael Faraday Award lecture. February 13 2007 hosted visit by David Anderson MP to Psychology Division. 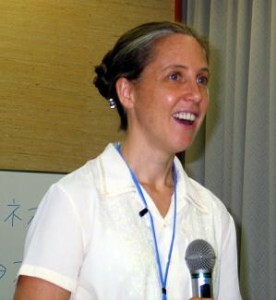 May 1 2007 spoke at “Breaking into the university sector”, 15 minute talk to postgraduates on my career: changing discipline, doing a postdoc overseas & combining a research career with a family. April 26-28 2008 National Endowment for Science, Technology and the Arts’ Crucible Lab 1: engaging with the media and policy-makers. June 29 2009 Co-hosted (with Quoc Vuong) visit by psychology teacher on professional development day. July 1 2010 Attended Tomorrow’s Giants, a major one-day conference on the future of science, co-hosted by the Royal Society and Nature. June 18 2010 Spoke at Royal Society research funding information session at Newcastle University. June 23 2010 Presented poster at Patient Information Day for patients with mitochondrial disease, The Sage Centre, Gateshead. Feb 13 2013 Spoke at Royal Society research funding information session at Newcastle University. Nov 15 2013 Hosted visit and seminar by artist Stephanie Douet. See here for other training I’ve undertaken as part of my continuing professional development.